I have been whitening my teeth for almost a full month now with Smile Brilliant and I am super excited to share my results with you guys today. I've always struggled with finding a whitening system that would fit my sensitive teeth, so I was very excited to see if this time was the magic time. I started to whiten my teeth for the first time in 2014 in preparation for my wedding day. I used whitening strips for a few weeks and had to stop because my teeth were just way too sensitive for it. I never gave whitening a second thought until recently. I have been a coffee and tea lover most of my life but over the last two years, I have been hitting the coffee really hard. While I love coffee, I started to become very self-conscious about my teeth and coffee's impact on them. Therefore, I started to think about what I could do to both enjoy my coffee addiction while making sure my teeth did not suffer. 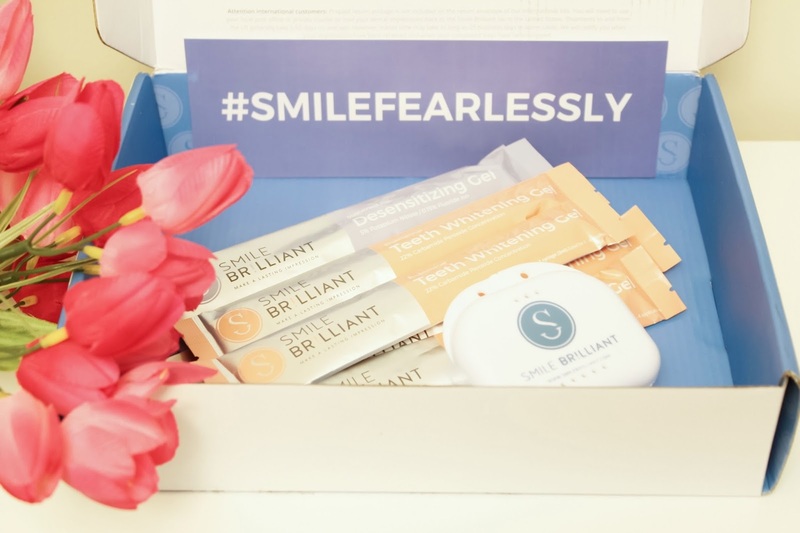 If you are not familiar with Smile Brilliant, they are a custom at-home teeth whitening system. I love that it is custom because not everyone's sensitivity is the same and that was very important to me. 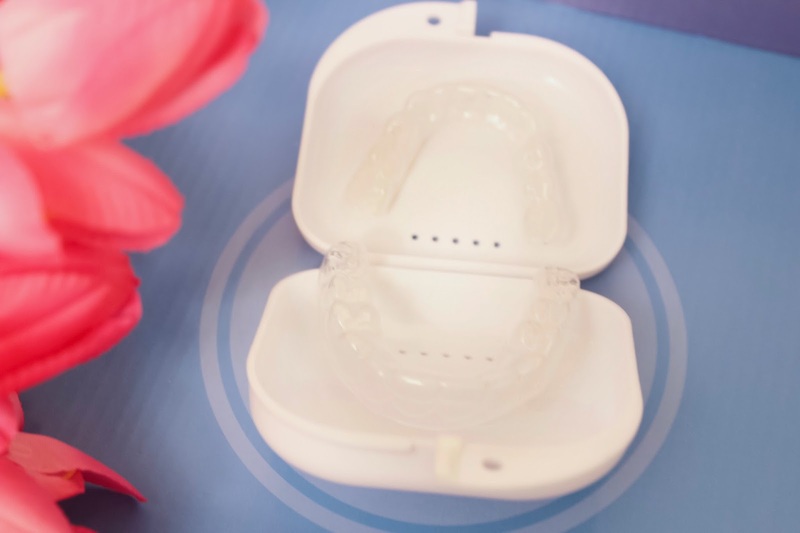 It was super easy to use and you also get your own customized- fitted trays. When I received my kit I had a Catalyst and base paste to create my dental impressions. Once that's done I shipped my dental impressions with a consent card in a pre-paid envelope to the lab for my custom whitening tray (upper and lower). They were mailed back to me in 3-6 days! I am always appreciative of quick turnarounds when I ship things out and am waiting for a reply. My kit included 9 whitening gels and 9 desensitizing gels syringes. One syringe has about 3-4 applications for top and bottom. First, I brushed my teeth with water as indicated and applied the whitening gel to my custom top and bottom trays. The duration is anywhere between 45 minutes to 3 hours depending on your sensitivity. I left mine on for 45 minutes while I watched Grey's Anatomy. 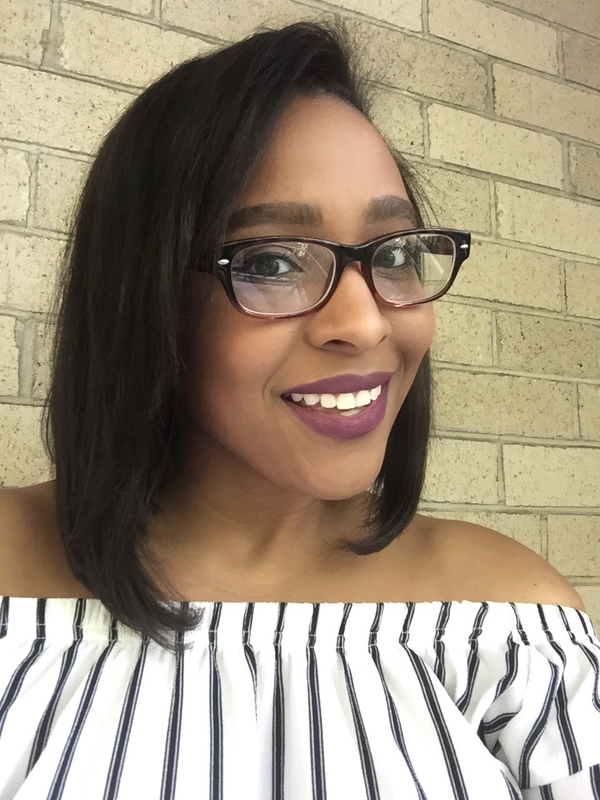 After my 45-minute whitening session was up, I brushed my teeth with toothpaste, cleaned and dried my trays and moved on to the desensitizing gel. I applied the gel on my trays and left it on for approximately 15-20 minutes. Tadaaa! These are my results. I definitely see a change in my teeth and I'm very happy with this custom teeth whitening system. Thanks to Smile Brilliant one of my readers will win store credit of $139. The giveaway will run for two weeks. All you have to do is click on the link below and enter your name and email address to enter! Also, if you use code pattyskloset5 you get 5% off the site. Me encantó amiga! Yo ando obsesionada con los productos de blanqueamiento dental en casa.